He may not be globally known, but Steve Weidner is the closest thing these children have to a rock star. 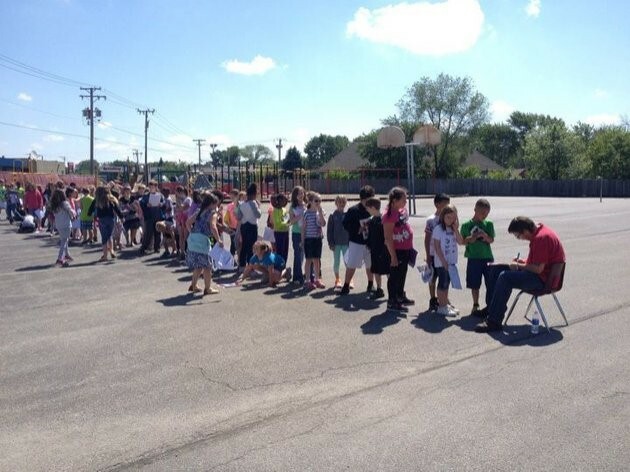 The photo shows around half of the second-grade students waiting in line to get Weidner’s signature, while the other half had already gotten it before the picture got taken. On the day the photo was taken, Weidner was spotted by a group of second graders, who then asked for his autograph. As time went on, the group of students anticipating his signature grew and grew. A few days after the picture surfaced online, it got posted to Reddit and has now been seen over 3.5 million times.